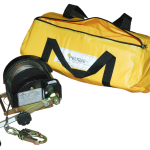 The Pelsue Uni-Lite Fall Arrest Post is built to do the job with the least amount of hassle. 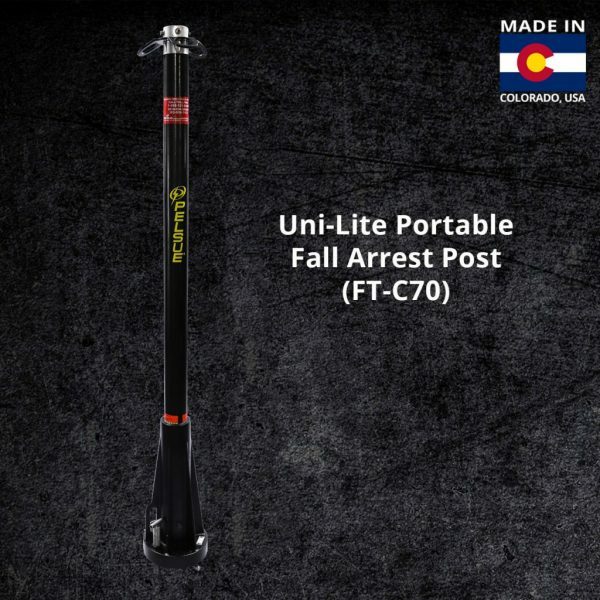 Unlike most other fall arrest towers, which are built with heavy steel or aluminum, the Uni-Lite is constructed out of carbon fiber, allowing it to be easily lifted and positioned where you need it. Acting in the same function as a fishing pole, the Uni-Lite Post absorbs much of the force of a fall by bending. Its patented design flexes with the force, making it the perfect rescue and retrieval device. 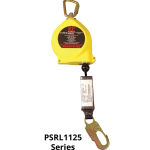 The Uni-Lite Fall Arrest Post is intended to provide an elevated fall arrest anchorage for up to three persons. 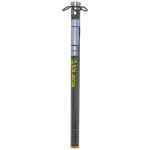 The upper insert features a 360° swivel tie-off with three 5.8’ high anchor points. Base plates are required for this unit. 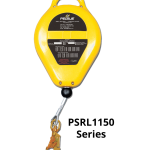 FT-C70 Fall Arrest Post System - carbon fiber, 36° swivel tie-off with three 5.8' high anchor points 39 lbs. 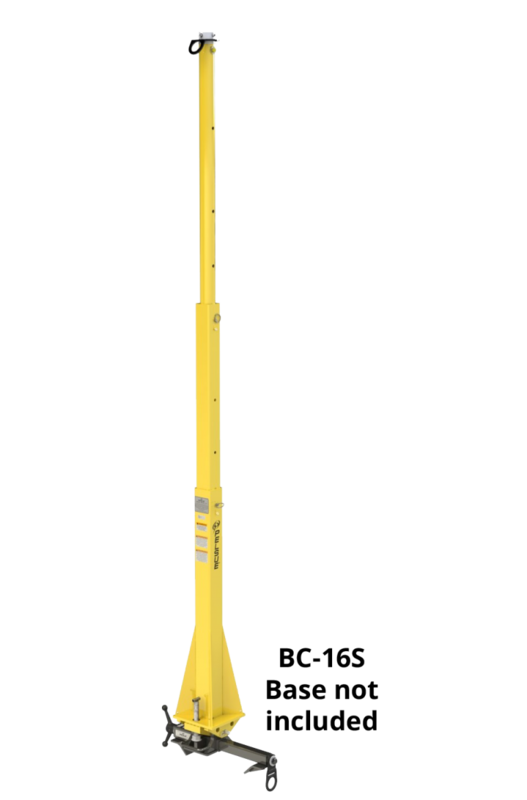 TFAT-14C Fall Arrest Post accessory - Telescopic single person tie-off, aluminum, 10' - 14' height 75 lbs. 500573-BD1 Post Assembly 10.5 lbs. 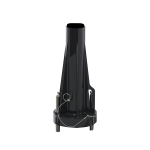 500019-001 FT-C70 base 28.5 lbs. FB-SW1 Weld on base plate 12 lbs. FB-SB1 Bolt on base plate 16.5 lbs. FB-SW3 Weld on base plate with tie-off anchor 12 lbs. 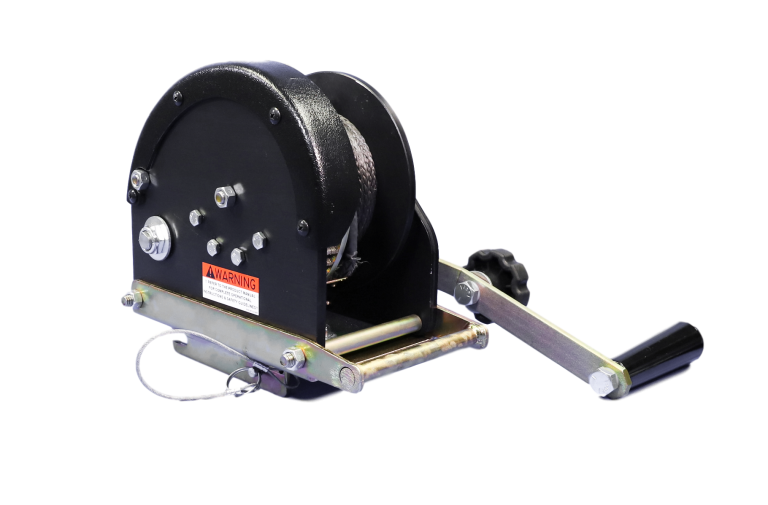 FB-SB3 Bolt on base plate with tie-off anchor 16.5 lbs. FB-BT1 Bolt on base plate adapter 17.2 lbs. FB-RB1 Round base plate for stud weld 16 lbs. FB-RW1 Weld on base plate with 12" round mounting ears 16 lbs. FB-FM1 Bolt on base plate, first person up anchor 13 lbs. BC-14S Beam clamp base - adjustable, 4" - 14" for I-Beam 31 lbs. BC-16S Beam clamp base - adjustable, 8 3/4" - 16" for I-Beam 40 lbs. BC-08A Beam clamp base - adjustable angle, 3.5” - 8” for C-Beam 35 lbs. 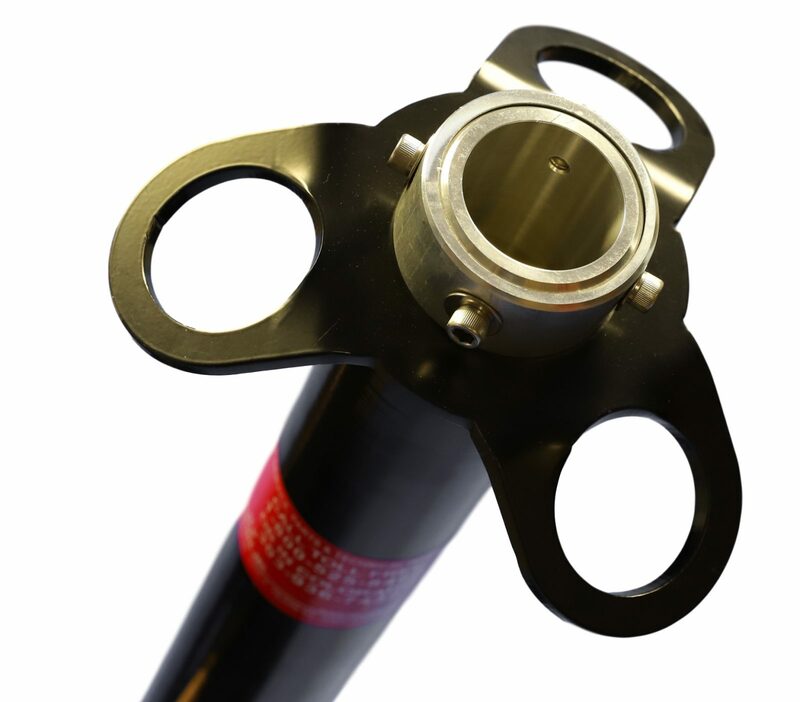 SB-SM1 Spider base, 4-arm manway mount, 19" arms, multi-position 42.4 lbs. SB-SM2 Spider base, 4-arm manway mount, 12" arms, multi-position 39.8 lbs. RMPB-47 Rail-mounted base plate, 47" long, bolt on, railroad 56 lbs. 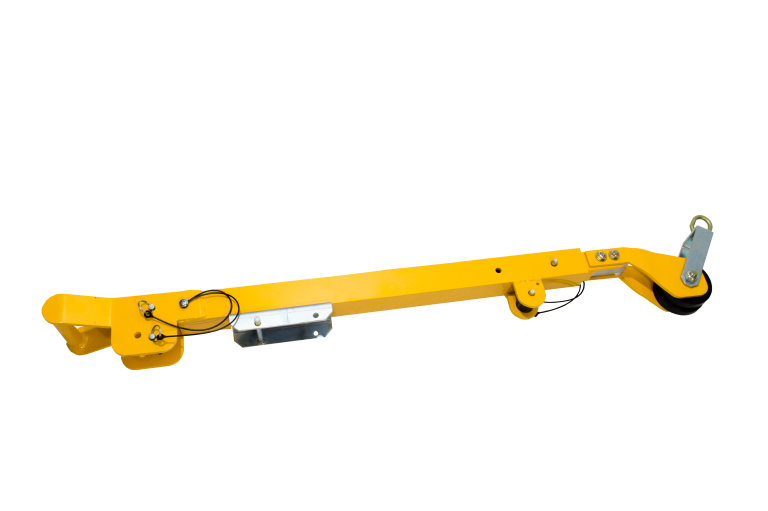 RMPB-65 Rail-mounted base plate, 65" long, bolt on, railroad 91 lbs. 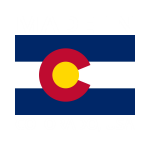 AP01 Plate - anchorage, tie-off anchor, formed carbon steel, zinc-plated 1 lb. AC-28R Anchor clamp - 16” - 28” 55 lbs. 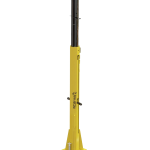 AC-28RX Anchor clamp - 16” - 28”, hex drive 55 lbs. AC-34R Anchor clamp - 19” - 34” 59 lbs. 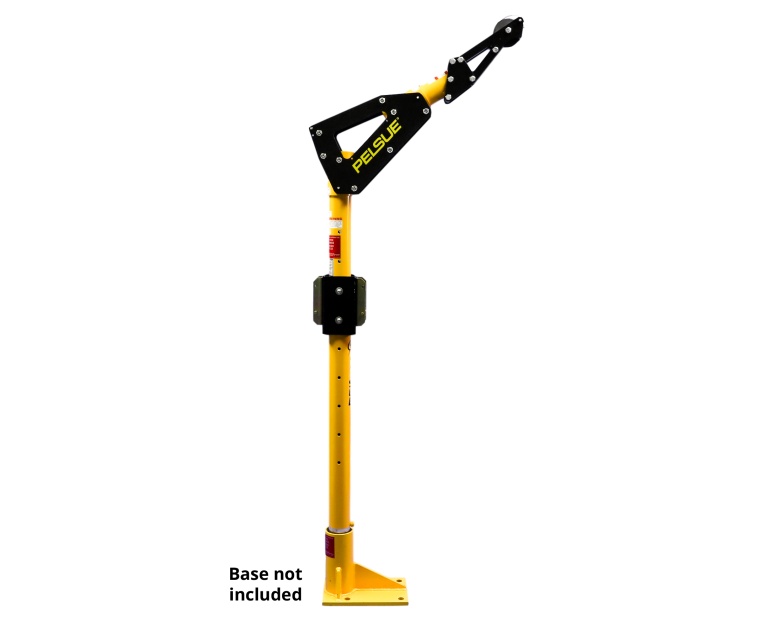 AC-34RX Anchor clamp - 19” - 34”, hex drive 59 lbs. 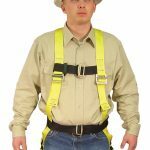 AC-34RXP Anchor clamp, adjustable 19”-34” round manways 57 lbs. 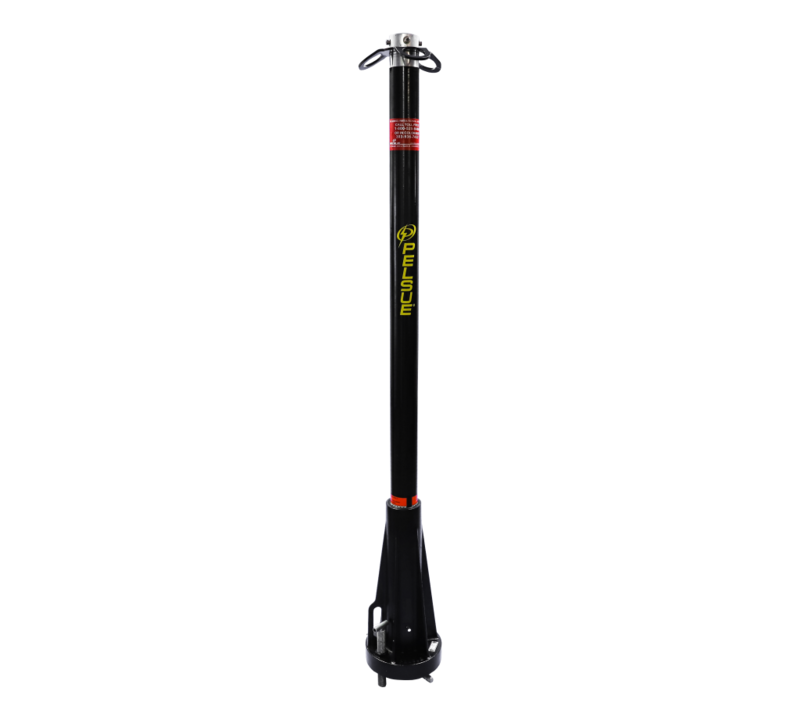 The Pelsue TFAT-14C is an expandable base accessory for the Uni-Lite Portable Fall Arrest Post.